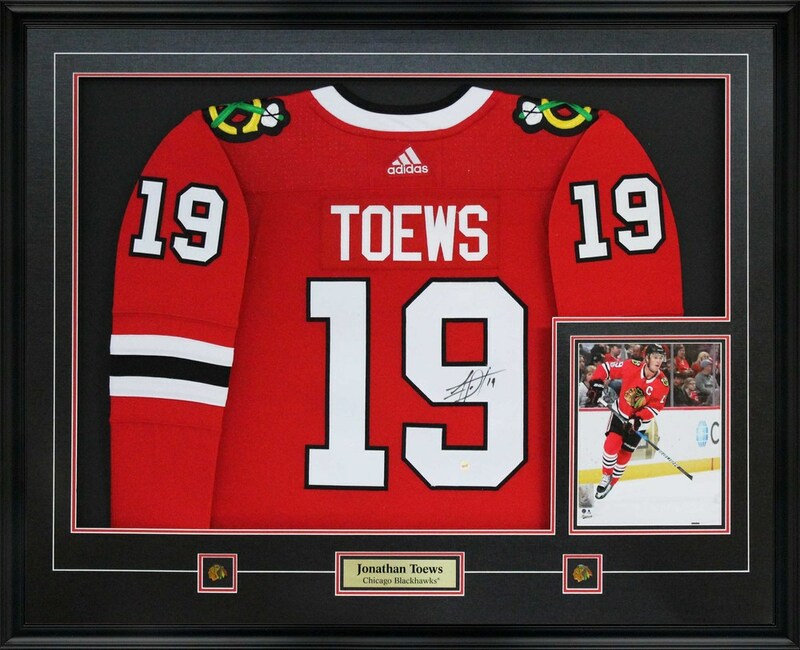 This Pro Adidas Blackhawks Red 17-18 Chicago Blackhawks Jonathan Toews Home Jersey is set in Frameworth's renowned jersey framing. The jersey is framed with v-groove matting and an officially licensed 8x10" photo of the athlete. The jersey comes hand-signed by Toews himself. A Frameworth hologram and certificate of authenticity are included with purchase to ensure the legitimacy of the autograph. Frameworth is the official autograph provider of Jonathan Toews. FINISHED SIZE: 36x42"